Low milk supply: If a mother experiences a period of low milk supply, she can consult with a knowledgeable source to discuss alternatives for her situation. 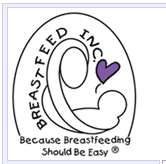 Possible suggestions may include nursing the baby more often, switching sides and positions several times during a feeding, using a breast pump to stimulate the milk supply, and learning techniques to condition the let-down reflex. In addition to building the milk supply, the breastfeeding mother may also want to evaluate her diet for acceptable nutritional levels. Protein and calcium intake needs to be checked since they are the two nutrients that require the greatest daily increase during lactation. The amount of fluids the breastfeeding mother is drinking might also need to be monitored. Many mothers drink a glass of fluid with every nursing or pumping session. Thirst should be the main indicator of how much the nursing mother drinks during the day, since over-drinking can interfere with prolactin and may reduce the milk supply. Chronic or acute disease: The mother diagnosed with a chronic or acute disease may also have special dietary needs. If mother and baby must be separated during mother’s illness, regular expression of her milk will maintain the milk supply and prevent a breast infection. 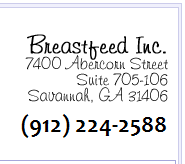 Milk can be collected by hand expression or use of a manual, battery, or electric breast pump. When ill, mother will need extra nutrients to aid healing and replace any loss of body stores or reserves. If feverish, mother will be burning up body fluids and will need to drink frequently to replace this loss. The physician should be told that mother is breastfeeding so that medications are checked for appropriateness for the nursing couple. Vegetarian diet: Mothers practicing a vegetarian diet should continue to eat a variety of foods with special attention to including complete proteins through complementary plants. Vegetarian mothers who are breastfeeding may be at risk for a Vitamin B12 deficiency which can have serious consequences for the baby. Sources of Vitamin B12 include fortified soy milk, fortified yeast and supplemental vitamin preparations. Persons contemplating a vegetarian diet can consult a nutritionist or dietitian to be sure their diet is adequate. Breastfeeding mothers can continue to enjoy a wide variety of foods. Questions about personal nutritional needs can be referred to nutritionist or dietitian. Volunteer organizations such as La Leche League can also answer many of these questions and provide valuable support as can certified lactation consultants. The public library has many books on nutrition and food preparation. Foods with similar nutrient content are conveniently grouped together into six basic food groups: Milk/dairy, protein, grain, vegetable, fruit and fats/sweets. Every person’s total daily food intake should be well-balanced among these to provide a nutritious, healthful diet. The daily food guide is especially helpful in planning daily food choices for meals. The recommended number of daily servings for pregnant adolescents and pregnant and lactating women is presented in the table below.